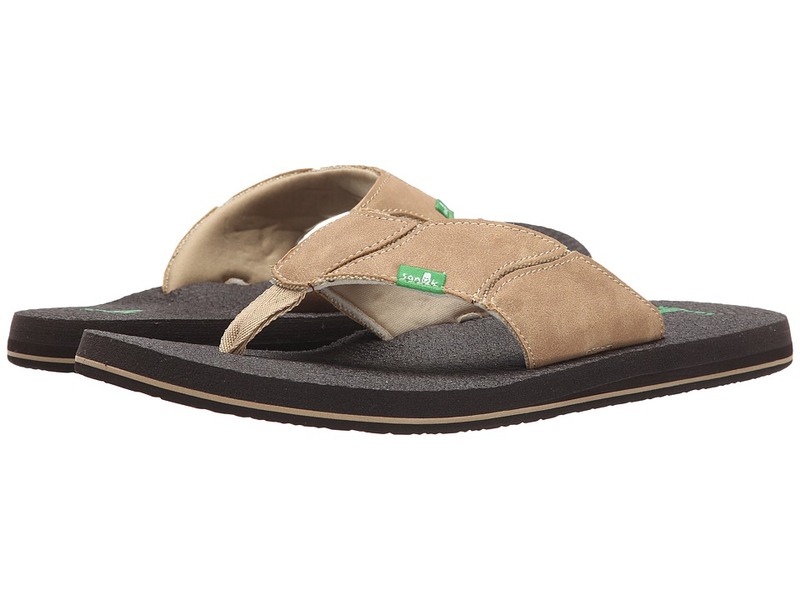 Made with nothing but the finest ingredients, the super comfy Sanuk Beer Cozy sandal will keep you set for all-day fun! Synthetic or textile uppers with super soft jersey liner. 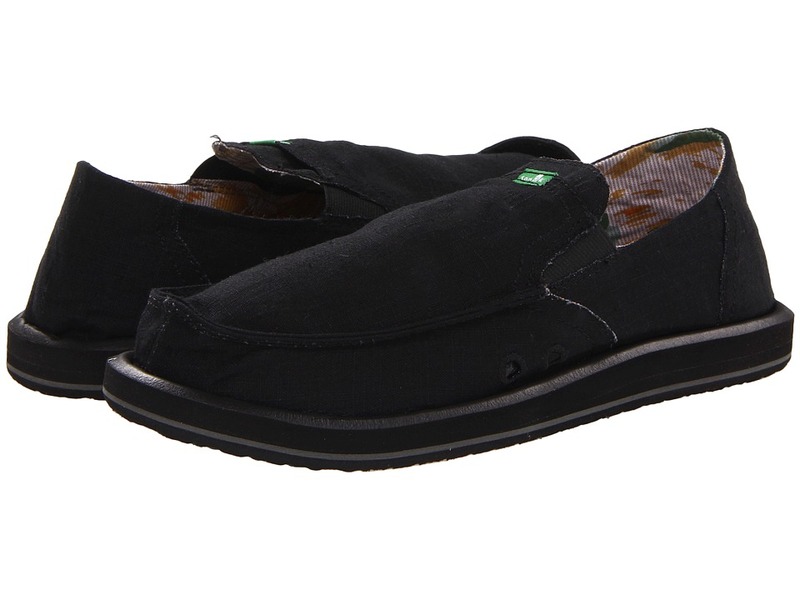 Super-comfy cushioned footbed is constructed from real yoga mat. Non-slip grip maintains shape after wearing. Happy U outsole for comfortable, long-lasting wear. Imported. Measurements: Weight: 6 oz Product measurements were taken using size 10, width D - Medium. Please note that measurements may vary by size. Weight of footwear is based on single item, not the pair. Vintage look in frayed canvas and rough suede. Neoprene backed comfort strap. Contoured anatomically correct footbed. Measurements: Weight: 6 oz Product measurements were taken using size 8, width D - Medium. Please note that measurements may vary by size. Weight of footwear is based on single item, not the pair. Introducing sidewalk surfers! Features a shoe upper on a sandal bottom. 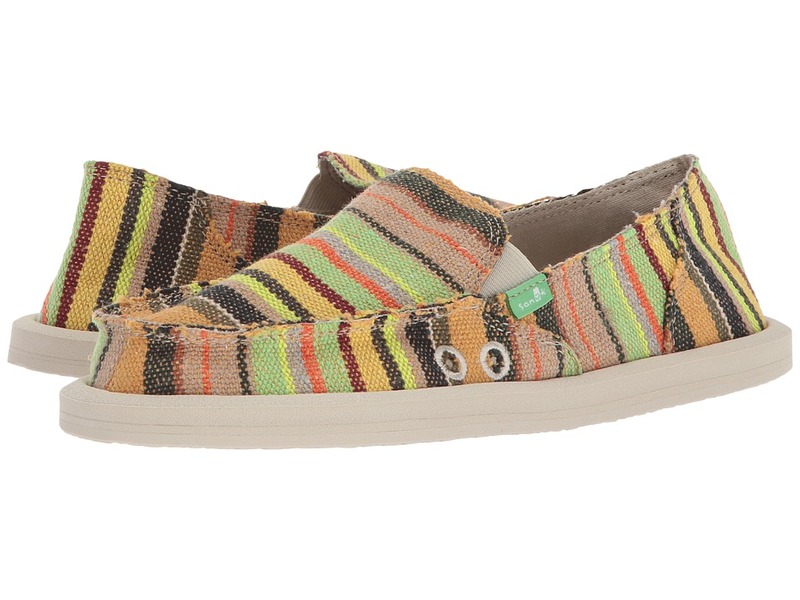 Funky canvas slip-on with a bit of a twisted traditional look. Distressed visible seams. Hand made! Measurements: Weight: 6 oz Product measurements were taken using size 7, width D - Medium. Please note that measurements may vary by size. Weight of footwear is based on single item, not the pair. A new profile kicked up a notch. Custom strap design. Intricate jewel detail at strap. Soft eva footbed. Eva sole for ultimate traction. Measurements: Weight: 4 oz Product measurements were taken using size 6, width B - Medium. Please note that measurements may vary by size. Weight of footwear is based on single item, not the pair. 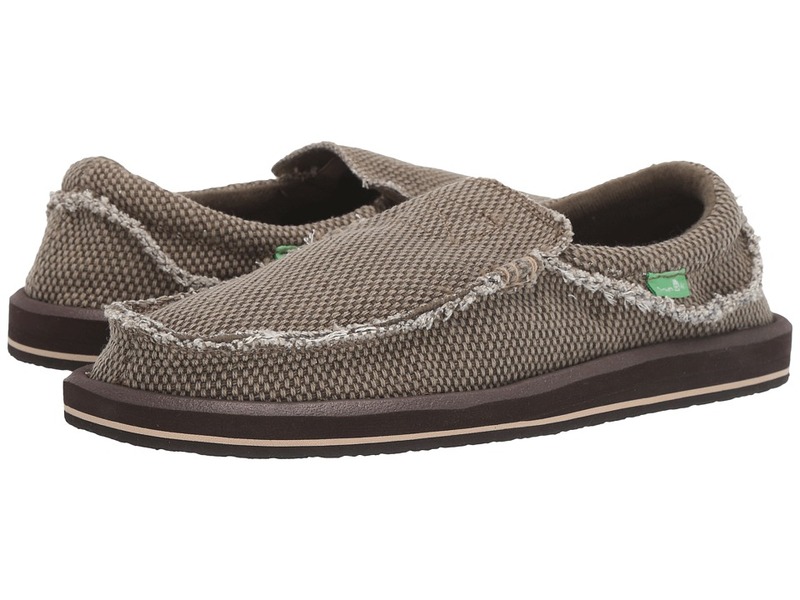 Get comfy with the smooth and mellow style of the Hemp from San&amp#252k. These are not shoes. They~re sandals! Handmade hemp upper with frayed edge details. Poncho liner details adds a sharp kick of contrast. Super soft, high rebound and molded EVA footbed for supreme comfort. AEGIS antimicrobial additive for a constantly fresh feeling. Durable EVA outsole with repeat Happy U logo tread. Measurements: Weight: 8 oz Product measurements were taken using size 10, width D - Medium. Please note that measurements may vary by size. Weight of footwear is based on a single item, not a pair. Stay incognito while lookin~ fresh with the sleek style of the Pick Pocket from San&amp#252k. Stash cash, keys, or an ID in the hidden pocket built into the upper. Coated cotton uppers won~t flinch at a little weather. Jean-like stitch details for sleek style. 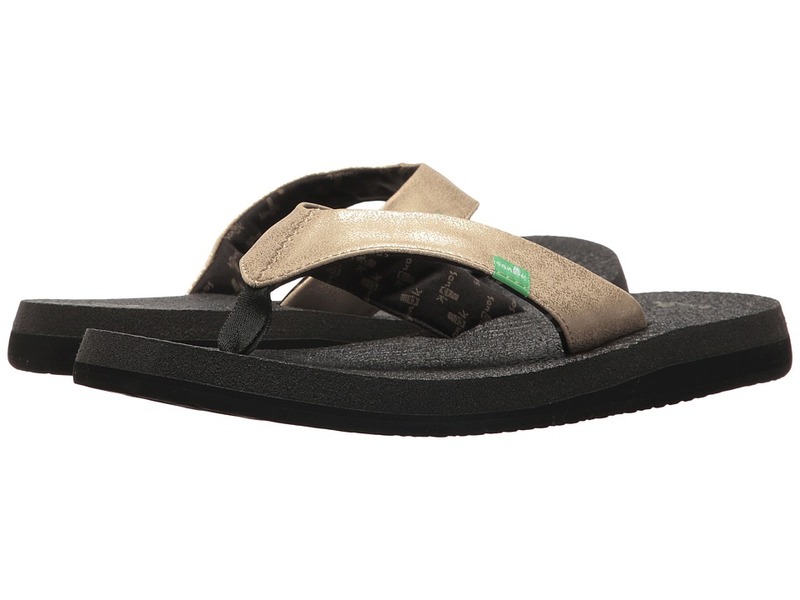 Squishy footbed for signature Sanuk comfort. Eyelets on sides for breathable comfort. Traditional synthetic outsole. Imported. Measurements: Weight: 7 oz Product measurements were taken using size 7, width D - Medium. Please note that measurements may vary by size. Weight of footwear is based on a single item, not a pair. Chill out on the beach or on your couch. No matter where you are, you~ll be totally chillaxin~ in the Sanuk&amp#8482 Chiba. Textile upper. Frayed edges for an edgy look. Sanuk sewn on label at tongue. Textile lining. 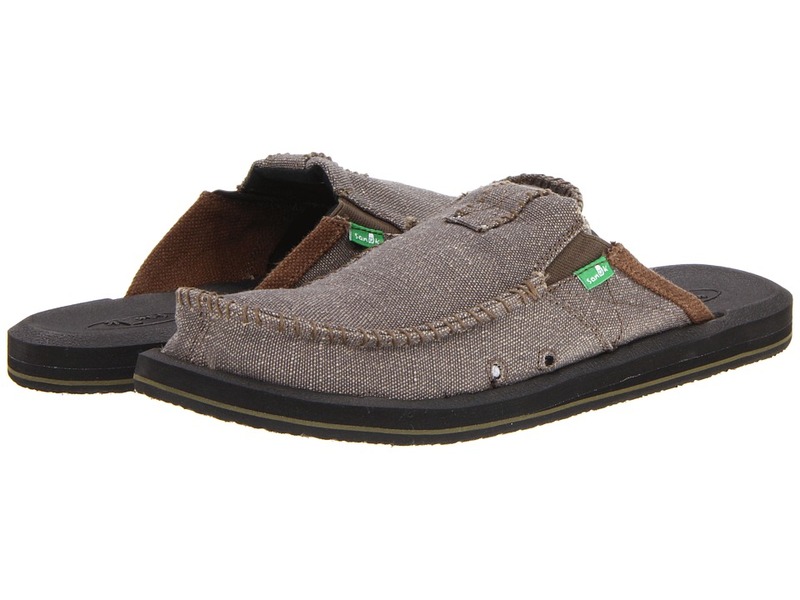 Signature Sanuk EVA bottom. Synthetic Happy-U tread outsole. Measurements: Weight: 8 oz Product measurements were taken using size 8, width D - Medium. Please note that measurements may vary by size. Weight of footwear is based on single item, not the pair. 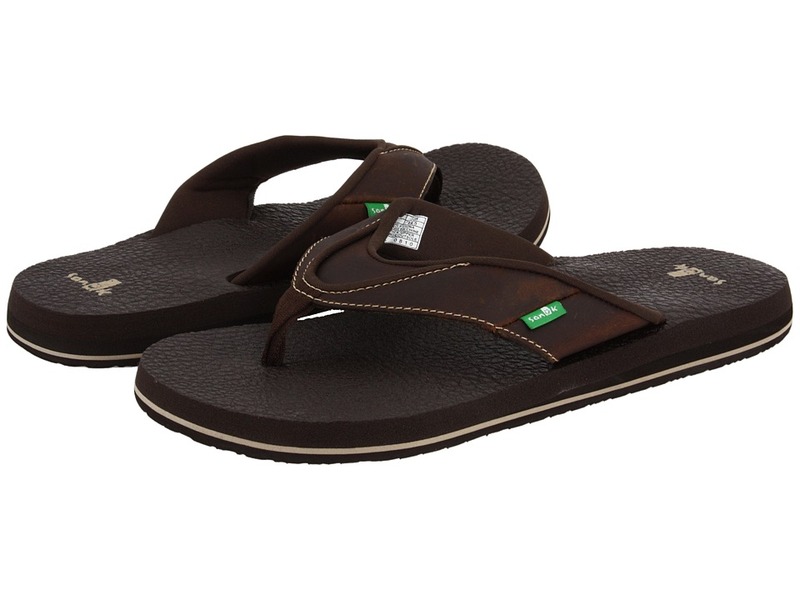 Add some vintage funk to your footwear with these Sanuk&amp#8482 Fraid So Sandals. Canvas upper strap. Distressed edges for a frayed look. Center strap detail for added detail. Rough suede topsole. Rubber outsole with Happy-U tread pattern. Measurements: Weight: 5 oz Product measurements were taken using size 8, width D - Medium. Please note that measurements may vary by size. Weight of footwear is based on single item, not the pair. 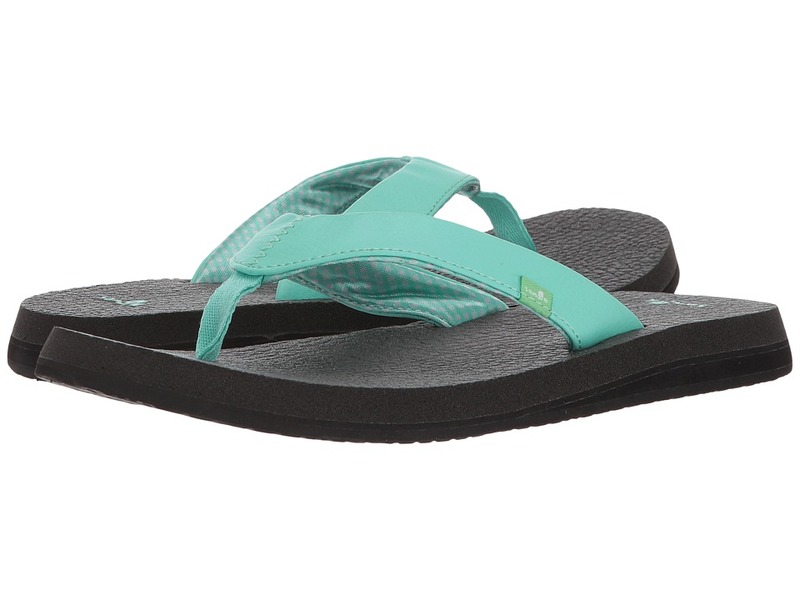 Breathe in&amp#8230 breathe out&amp#8230 You will be in complete serenity when you slip into these Sanuk&amp#174 Yoga Mat Sandals. 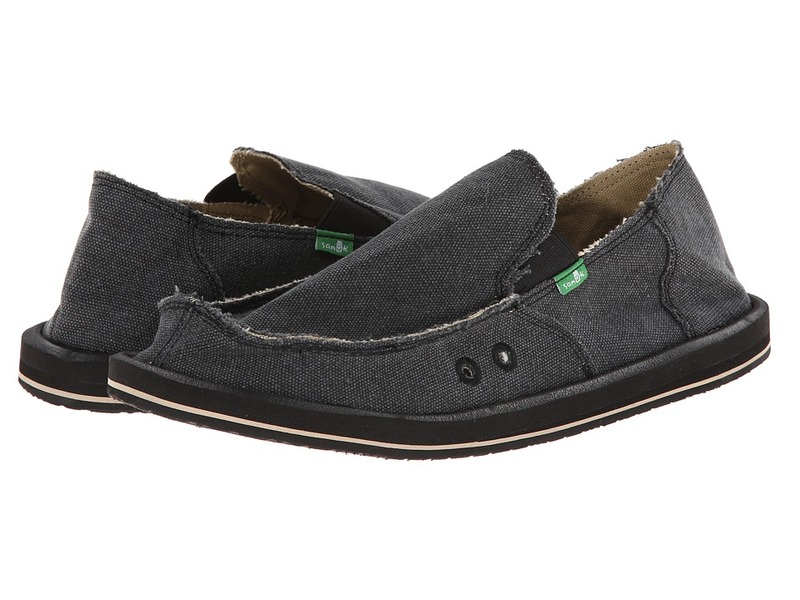 Synthetic upper with Sanuk logo embroidery. Textile printed lining and webbed toe strap. Yoga mat materials in the footbed offers up some soft and squishy comfort with every step. Synthetic Happy-U outsole. Vegan and vegetarian friendly. Imported. Measurements: Weight: 5 oz Product measurements were taken using size 7, width B - Medium. Please note that measurements may vary by size. Weight of footwear is based on single item, not the pair. Summer won~t last forever, but with the cozy comfort Vagabond Chill from Sanuk, even the wanderin~ man will stay warm on those days spent drifting... Sure, these might look like a regular slip on shoe, but with a traditional shoe upper on a sandal bottom, these sidewalk surfers from Sanuk showcase their supreme comfort and style with every step. Goring on sides for an easy on and off. Visible fraying at seams for that rough ~n ready look. Synthetic Chill liner for cozy comfort. 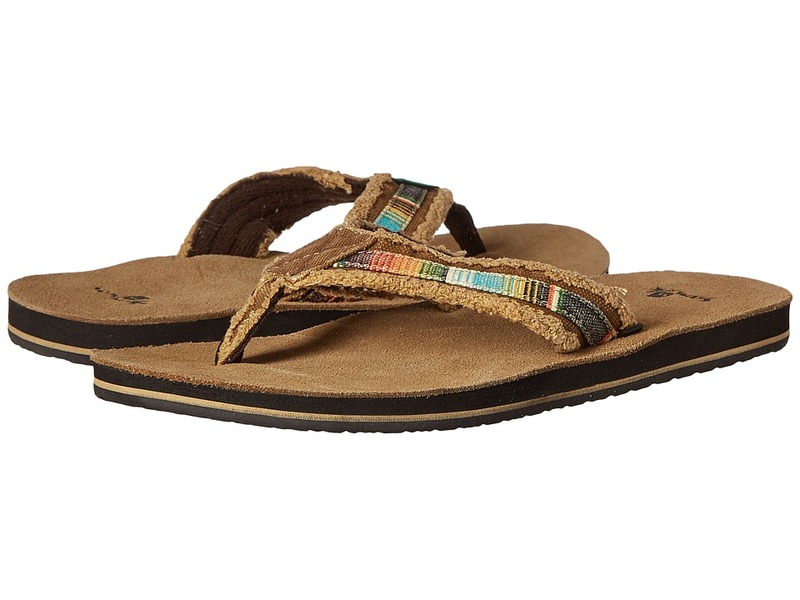 Squishy footbed for signature Sanuk comfort. Repeat Happy U logo tread on outsole. Measurements: Weight: 7 oz Product measurements were taken using size 8, width D - Medium. Please note that measurements may vary by size. Weight of footwear is based on a single item, not a pair. 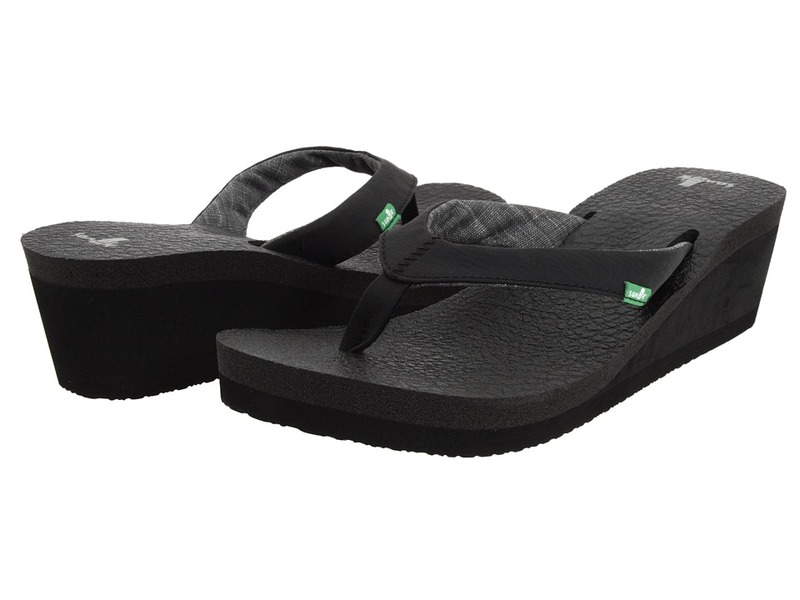 With signature San&amp#252k comfort and easy sandal style, the Fault Line is absolutely faultless. Part of the Beer Cozy collection. Sectioned synthetic nubuck strap upper with contrast stitching and logo embroidery. Super soft neoprene liner for added comfort. 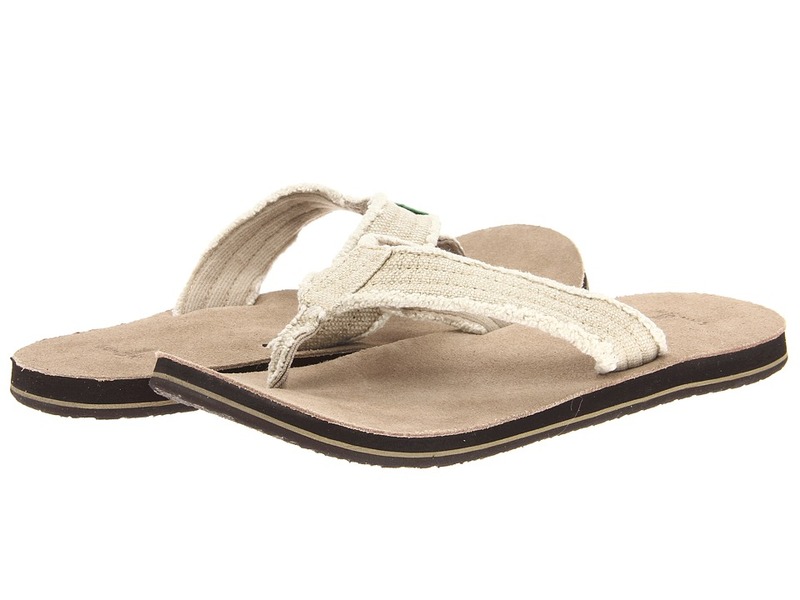 Yoga mat materials in the footbed make this one of the cushiest and squishiest sandals around! Man-made outsole with Happy U repeat logo tread. Features Vegan-friendly materials and construction. Measurements: Weight: 5 oz Product measurements were taken using size 8, width D - Medium. Please note that measurements may vary by size. Weight of footwear is based on a single item, not a pair. Leather makes everything better, especially the total comfort and supreme squishiness of the super soft Beer Cozy Primo from San&amp#252k! Premium leather uppers with contrast stitching details. Super soft jersey lining and a soft nylon toepost. Yoga mat footbed offers up supreme and squishy comfort with every step. Durable man-made outsole with a Happy U tread design. Measurements: Weight: 7 oz Product measurements were taken using size 11, width D - Medium. Please note that measurements may vary by size. Weight of footwear is based on a single item, not a pair. 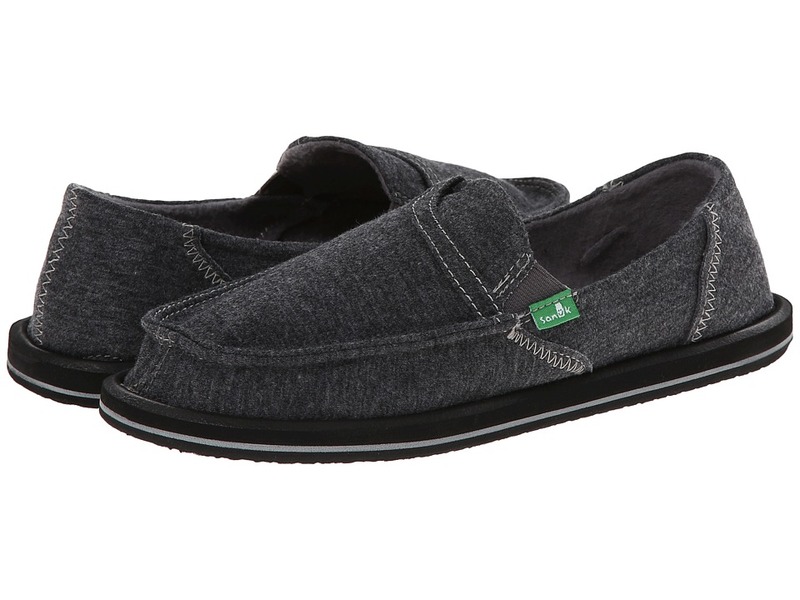 Be careful not to forget the rest of your clothes with the Sanuk Pick Pocket Fleece all you~ll need to do is slip them on and head out the door, it has pockets for all your essentials. Hide cash, an ID or keys in the stash pocket on the upper. 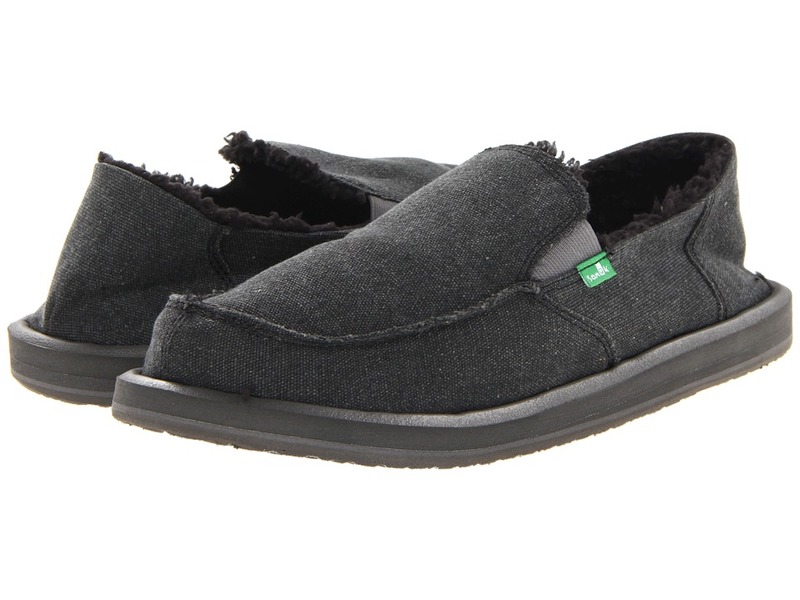 Handmade fleece upper with comfy fleece lining. 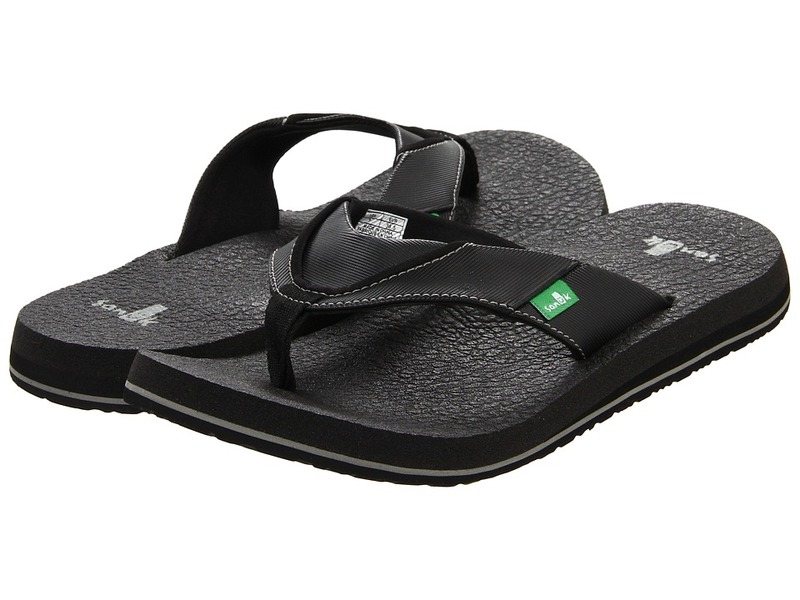 Comfortable high rebound molded EVA footbed. Footbed features an AEGIS antimicrobial additive for funk protection. Synthetic Happy-U tread outsole. Vegan friendly. Measurements: Weight: 4 oz Product measurements were taken using size 8, width B - Medium. Please note that measurements may vary by size. Weight of footwear is based on a single item, not a pair. Who needs a back, anyways? Let this San&amp#252k sidewalk surfer take care of it! Handmade canvas upper with frayed edges. Canvas accents on the top of the vamp and sides. Goring on sides for an easy slip-on fit. Contrast stitching details on toe. Side eyelets for added breathability. Breathable textile lining. A supersoft, high-rebounding, molded EVA footbed. Treated with an AEGIS antimicrobial additive for a fresh feel. Durable outsole with repeat Happy U logo tread. Vegan and vegetarian friendly. Measurements: Weight: 8 oz Product measurements were taken using size 12, width D - Medium. Please note that measurements may vary by size. Weight of footwear is based on a single item, not a pair. You may find your inner chi when wearing the bliss-inducing comfort of the Yoga Glam from San&amp#252k. Metallic synthetic leather strap. Printed jersey liner adds a colorful contrast. Leather-covered nylon toe post for added comfort. 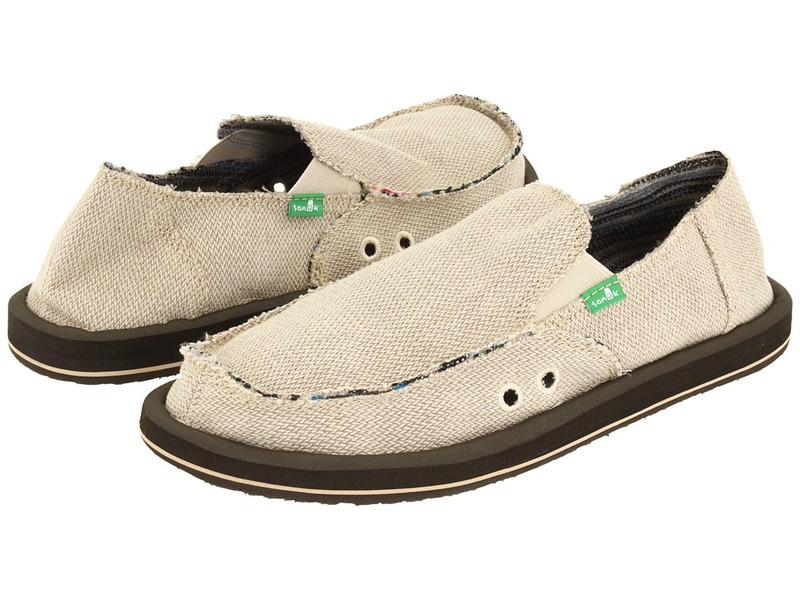 Super soft and cushy footbed made out of real yoga mat materials. Durable man-made outsole with repeating Happy-U logo tread. Made with vegan- and vegetarian-friendly materials. Measurements: Heel Height: 1 in Weight: 5 oz Product measurements were taken using size 8, width B - Medium. Please note that measurements may vary by size. Weight of footwear is based on a single item, not a pair. Get an extra lift of height while experiencing the bliss-inducing comfort of the Yoga Mat Wedge from San&amp#252k! 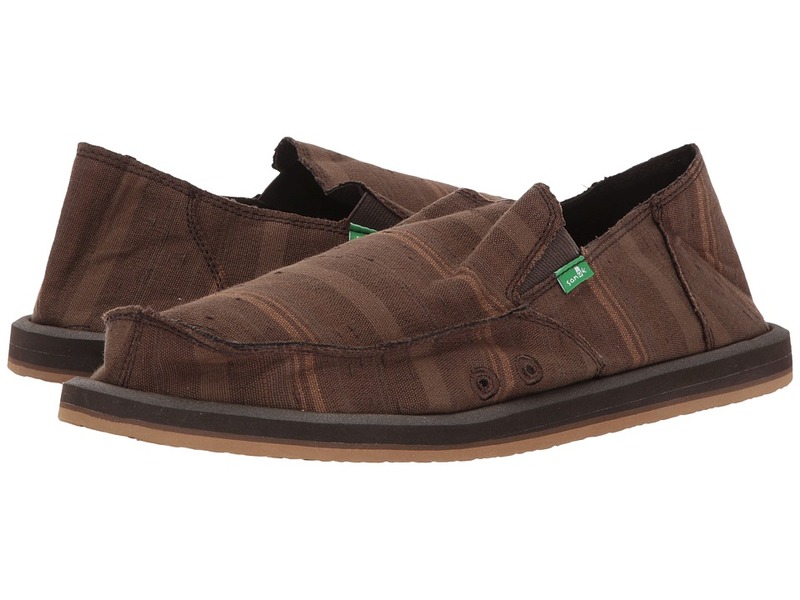 Synthetic upper with Sanuk logo label. Textile printed lining and webbed toe strap. Yoga mat materials in the footbed offers up some soft and squishy comfort with every step. High-density EVA wedge. Synthetic Happy-U outsole. Measurements: Heel Height: 2 1 4 in Weight: 6 oz Platform Height: 1 in Product measurements were taken using size 8, width B - Medium. Please note that measurements may vary by size. Weight of footwear is based on a single item, not a pair.